A consortium of defence companies have signed an agreement worth up to $63 million to bring 10 Sikorsky UH-60 Black Hawk helicopters into Australia, with options for an additional 10 aircraft. In Brisbane today, Kaan Air Australia, Sikorsky and StarFlight Australia signed an agreement that will see the purchase of 10 ex-US military Black Hawks, to be imported into Australia early next year. The world-first refurbishment program will be undertaken in Brisbane. The Black Hawks will be brought up to ‘as new’ condition and repurposed specifically for aerial firebombing operations during future bushfire seasons around Australia and New Zealand, and for year-round emergency services and disaster relief work. The aircraft will be refurbished and maintained in Brisbane by Sikorsky. This initiative sees Kaan Air Australia and StarFlight Australia partner to usher in a new era in Australian emergency services and disaster relief aviation. Sikorsky hand-picked the initial 10 Black Hawk helicopters for their suitability in aerial firebombing and external heavy load lifting ability, and will be made available to assist emergency services and fire agencies in bushfires and natural disasters across the country. StarFlight Australia will be the operator of the aircraft. The Black Hawks will undergo three months of extensive refurbishment, including new high performance engines, upgraded gear boxes, installation of a helicopter terrain awareness and warning system (HTAWS) and a general overhaul, which Sikorsky will carry out at its Pinkenba facility in Brisbane. John Skeen, chief executive officer of Kaan Air Australia and StarFlight Australia, welcomed the new agreement and said the deal would assist emergency services in filling a significant gap within Australia’s firefighting and disaster relief resources. "The helicopters are being purchased by an Australian company, will be registered in Australia and, most importantly, will be fully maintained and supported in Australia by the helicopter OEM Sikorsky and its supply chain commitment, helping to boost local jobs in the area and guaranteeing ongoing supply chain support of our Black Hawk fleet," Skeen said. General manager of Sikorsky Australia Andrew Rushbrook said that as the original manufacturer of the Black Hawk helicopter, there is no company better positioned to refurbish and maintain the aircraft and no better place to do so than at Sikorsky Australia headquarters in Brisbane. Kaan Air is one of Europe’s leading helicopter utility operators and a renowned helicopter distributor for AgustaWestland and Russian helicopters, and has significant operational experience in helicopter firefighting, off-shore and air medical service businesses. In 2015, Kaan Air Australia established a joint venture under the StarFlight name with LifeFlight Australia. 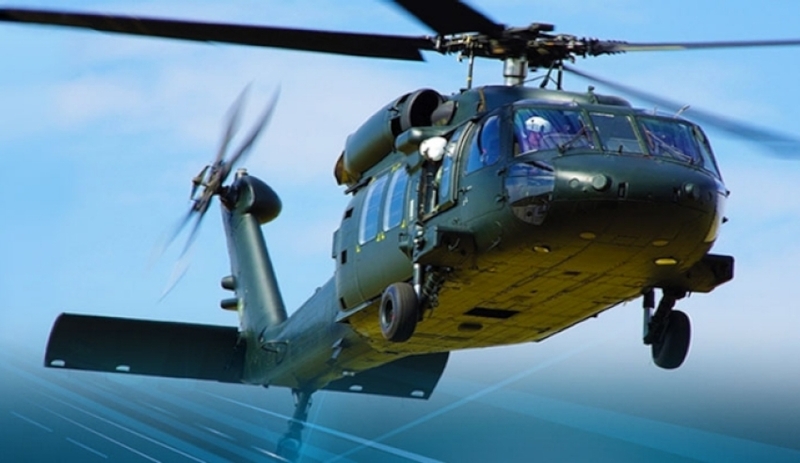 The Black Hawk helicopter has served with the US military and the armed forces of 26 other countries worldwide as a tough, reliable utility helicopter for the last 35 years. It has been used in combat zones to deliver and extract troops, save lives as a medevac or casualty evacuation platform, provide critical supplies to troops, deliver emergency supplies during natural disasters and perform as an aerial firefighter and border patroller.